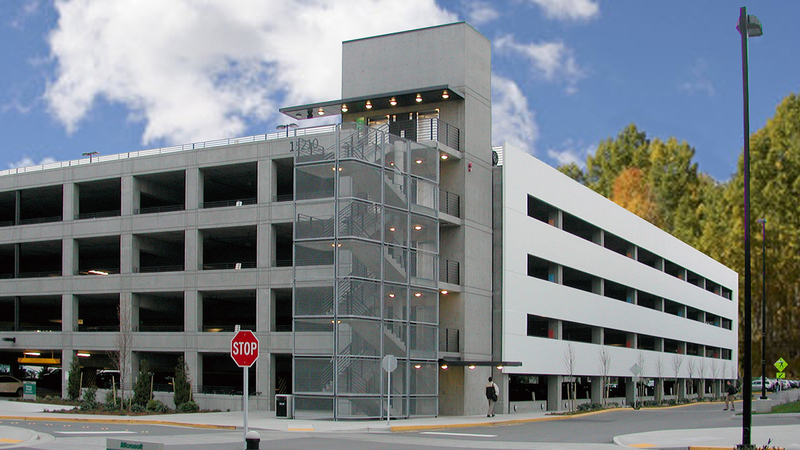 microsoft parking structure | Cary Kopczynski & Company, Inc. Located on the Microsoft main campus in Redmond, Washington, this parking structure contains five levels of above grade and two levels of below grade parking for 967 vehicles. One of the keys to longevity in parking structures lies in keeping the concrete crack-free. By incorporating perimeter columns to support the below and at grade post-tensioned slabs on this project, natural shrinkage of the slabs was allowed to occur without restraint from the basement walls.